A Lifetime of Film covers one specific year of a Cinefessions’ writers existence, from birth to now, and goes over their top ten films from that year. It stems from a meme on Letterboxd, and is simply being expanded upon here. This week, Ashe covers 1978. While I’ve admittedly seen a lot of films in my lifetime, the first few years of my life are a bit sparse as far as what I’ve seen or remember. Being a year old, and these waning in popularity by the time I started getting into movies in my teens and pre-teens, a few of these I haven’t seen in over two decades. Bear with me if a few of these are a bit sparse on my thoughts. I basically went through each year, added in all the films I’d seen from that year, then whittled it down and put them in order. You can find my actual list for 1978 on Letterboxd here and the others I’ve finished so far off my profile, but the write-ups are going to be here on Cinefessions. Without further ado, here’s my top ten from 1978. Not nearly as good as the first film in any respect and I think that largely has to do with the lack of Spielberg and Dreyfuss involved. Scheider does a decent enough job with what he has to work with but while the idea worked in the first film, it started to get ridiculous in this film. Some things work, but a lot doesn’t and while it made my top ten, you can begin to get an idea of what I’ve seen from this year and what I had to work with. I get that people like this film, but it’s relevance passed me by. I’ve seen it before but largely don’t remember the bulk of it except for a few Belushi scenes. 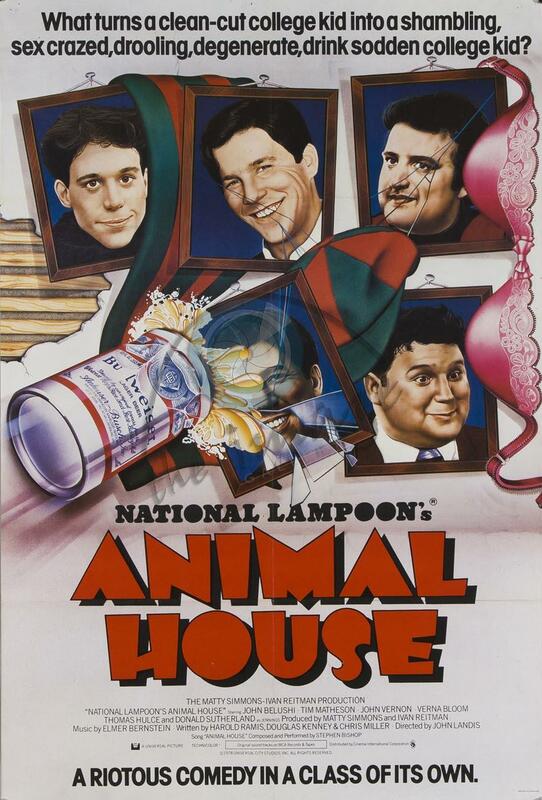 Not one of my favorite comedies, but probably one I should watch again. I think I’d probably get it more now way out of college than long before high school. Because I liked Smokey and the Bandit so much, my mother ended up digging this one up. While I didn’t enjoy it as much as Smokey, it was an interesting ride and long forgotten until I started making up this list. Might be time to dig it up again. Yes, Harrison Ford did have a career in-between Star Wars and Raiders of the Lost Ark, and this was one of those films. Robert Shaw also stars in this and I go the biggest kick out of seeing Indiana Jones and Quint in a World War II setting working together as a kid. It’s an interesting film and mixed in with a Memorial Day film spree this one stuck out to me. My dad decided, when I was younger, that because I liked the Pink Panther cartoon, I might get a kick out of the Pink Panther films. 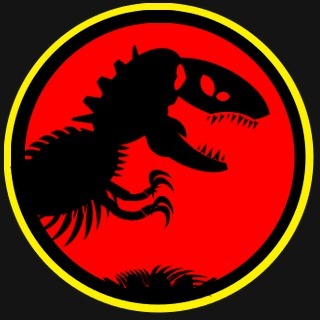 What he got was a middling meh from me, but I will admit there is a bit of fun here that I don’t think the remake, or what I saw of it, quite captured. 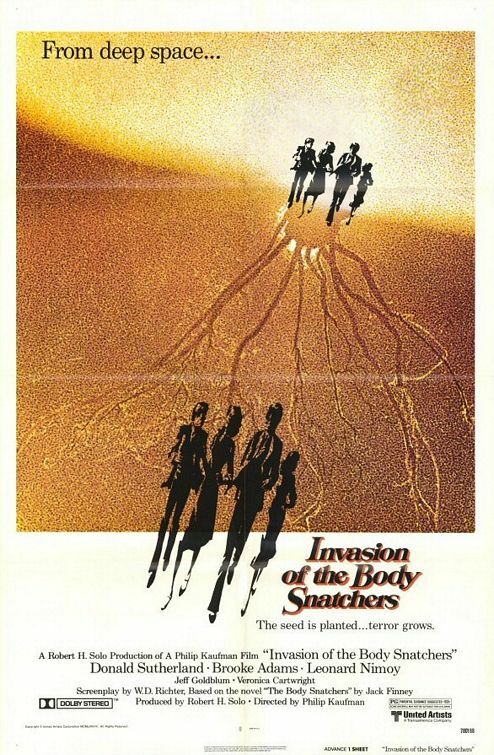 While I like Body Snatchers with Gabrielle Anwar and Meg Tilly in all of the iterations of the Body Snatchers premise, this one with Donald Sutherland, Leonard Nimoy, Veronice Cartwright and Jeff Goldblum has its moments as well. I’m a big fan of Goldblum and Sutherland anyway so this is always on my list to watch again when I get a chance even if it’s not my favorite. I like Eastwood movies more now than when I was a kid, and while I like the antics in the film, most of the charm for me for this film stems from the orangutan named Clyde. Clyde is still my favorite part of the film even now. There are a lot of fun moments in this one and the fist fights manage to be interesting and a bit brutal. As a former band and choir geek and someone who’s been in a couple of high school musicals, no not the Disney channel stuff but the rough productions, I tend to like musicals. This one is a fun film adaptation and I admit I’ve never seen it live like a few others that will eventually pop up on my lists, but there are some good songs and it’s a lot of fun. 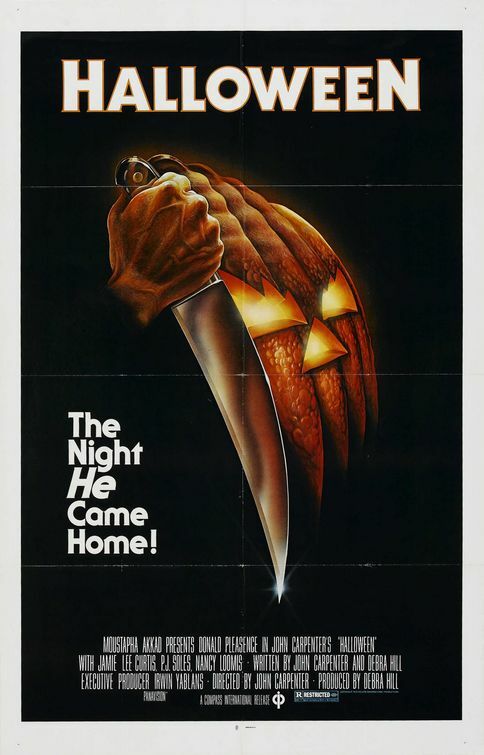 The classic that set the standard for the slasher film, at least in my opinion. Carpenter worked wonder with lighting creating the Shape that menaced the kids in a badly painted James T. Kirk mask and while I was growing up I liked the second one more just for the intro that literally picks up where this one ends, I’ve come to appreciate the subtlety that’s in this film that makes it work whereas the second film wasn’t as careful. So why do I put this over Halloween on my top 10? Nostalgia is a big reason. This being one of Donner’s best is another. Hackman and Beatty are fantastic in the movie and Reeve and Kidder are no slouches either. This was a great first start to what could have been a perfect set of films back to back before they kicked Donner off the second one, but I really loved this film and it triggered my bigger interest in the DC Universe as a whole. There probably would be no real love for Batman for me if I hadn’t been exposed to Superman as a kid first.